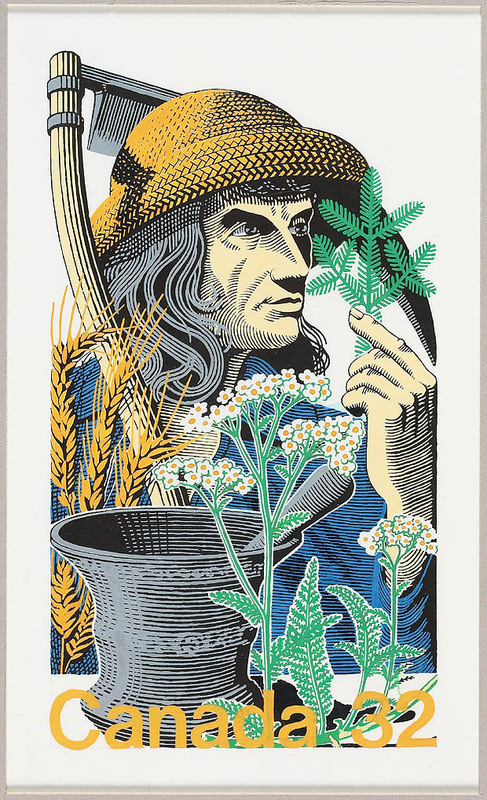 HÉBERT, LOUIS, apothecary, first officer of justice in New France, first Canadian settler to support himself from the soil, m. Marie Rollet; b. Paris 1575? ; d. Quebec, January 1627. 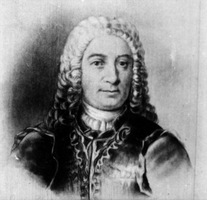 According to his descendant, Couillard Després, he was the son of a Louis Hébert who was apothecary at the court of Catherine de Médicis. Documents more recently discovered in Paris indicate that his father was Nicolas Hébert, an apothecary, and that Louis was born in the Mortier d’Or, a house near the Louvre. The niece of Nicolas Hébert’s wife married Jean de Biencourt de Poutrincourt, in 1590. This relationship would explain Louis Hébert’s interest in the early settlements in Acadia and his presence in Du Gua de Monts’s expedition. Lescarbot, in Port-Royal (Annapolis Royal, N.S.) in 1606, speaks with respect of his skill in healing and his pleasure in cultivating the soil, and, on his map of that region, indicates an island and a river named for Hébert. 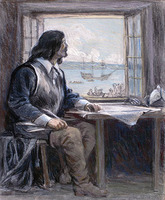 In the summer of 1606 Hébert sailed with Champlain and Poutrincourt along the coast to the southwest, seeking other sites suitable for settlement. Poutrincourt and Hébert were so attracted by what is now Gloucester, Mass., that they planted a clearing there to test the soil’s fertility. Both hoped to bring their families to settle in the New World. On this voyage Hébert showed that, though intent on peaceful pursuits, he could be counted on for quick and courageous action in an emergency. 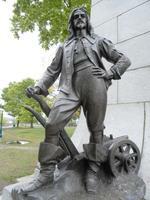 With Champlain, Poutrincourt and several others, he leaped from the ship into a small boat, unclothed, in the middle of the night, in response to frantic cries from some foolhardy men who, having defied orders and remained on shore, were being attacked by Indians. The Jonas, arriving from France in June 1607, brought the unwelcome news that, because of the cancellation of de Monts’s concessions, the company must return to France. 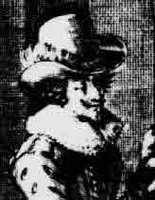 In 1610, Hébert was again in Port-Royal, with the group whom Poutrincourt hoped to establish there. As apothecary, he treated both French and Indian patients. Apparently meals as well as medicine received his consideration; he prepared and administered both to chief Membertou in his last illness. He was in charge of the settlement when, in 1613, Réne Le Coq de La Saussaye came with the Marquise de Guercheville’s colonists, withdrew the two Jesuit fathers from Port Royal, and sailed away to start a new settlement elsewhere. The capture of this expedition at Île des Monts Deserts by the English that same summer was followed by their destruction of Port-Royal (November 1613), and once more Hébert was forced to return to France. 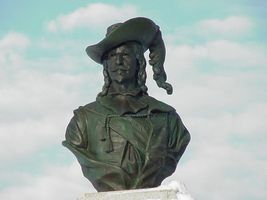 In the winter of 1616–17 he renewed acquaintance with Champlain who was in Paris seeking support for his colony at Quebec. 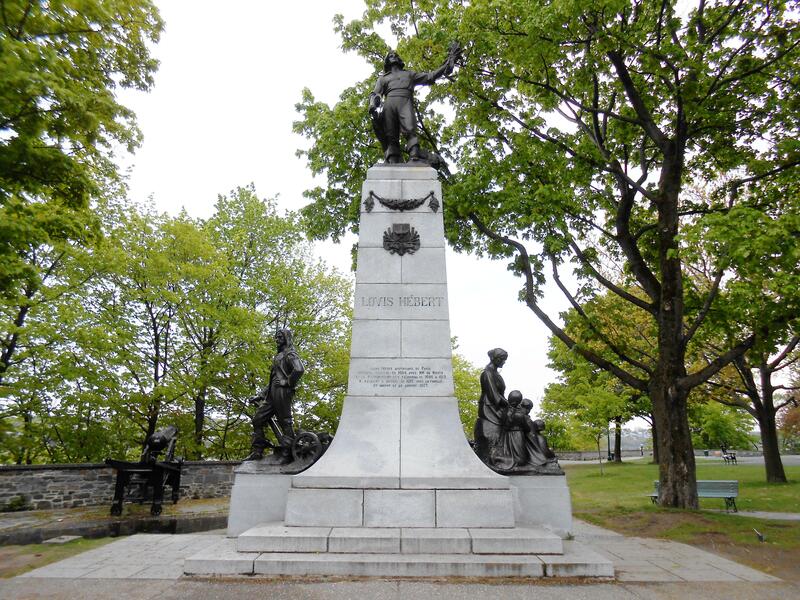 This post, having survived for nine years, probably seemed to Hébert a safe place for settlers, especially as Champlain obtained for him a favourable contract from the fur-trading company in control of the St. Lawrence region. 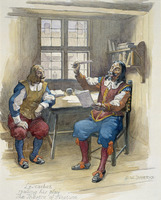 Relying on these promises – 200 crowns a year for his services as apothecary, and food and shelter for his family while getting land cleared – Hébert sold his house and garden in Paris and took his wife Marie Rollet and three children, Anne, Guillemette, and Guillaume, to Honfleur ready to embark. There he discovered that the company had no intention of honouring its agreement. The best he could obtain was a new contract, halving his salary and his land grant and stipulating that his family and his servant should be at the service of the company without pay. Having no alternative, he accepted and sailed with his family 11 March 1617. For many years Hébert was the only man besides Champlain himself who took any interest in cultivating land. The trading company did their utmost to discourage him. 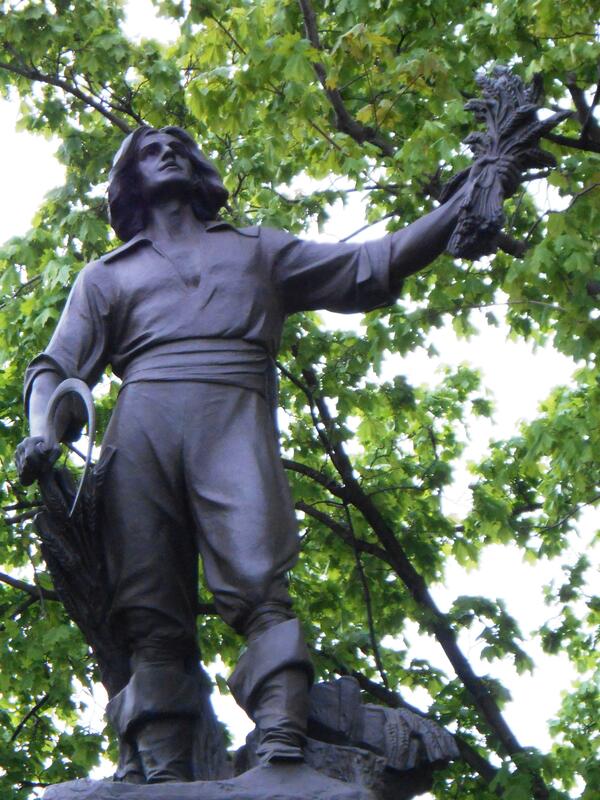 Both Champlain and Sagard say that the unlawful restrictions they imposed upon him and upon the disposal of his products prevented him from enjoying the fruits of his labours. When in 1620 Champlain returned from France with (nominally) full authority over the colony, he gave Hébert responsibility in the administration of justice by appointing him king’s attorney. In this capacity he signed the colony’s petition to the king in 1621. 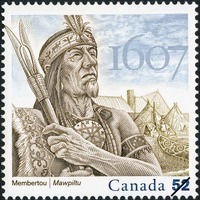 Hébert enjoyed the confidence also of the Indians, whom he, in contrast to many of his contemporaries, considered as intelligent human beings lacking only education. Many instances bear witness to their respect and affection for him. There is some question of trade relations with Guillaume de Caën, but in view of the fact that the surname Hébert is a very common one, this may be a case of mistaken identity. The winter of 1626 he had a fall on the ice which proved fatal. He was buried in the Recollet cemetery on 25 Jan. 1627. In 1678 his bones still in their cedar coffin, were transferred to the vault of the newly erected Recollet chapel and with those of Brother Pacifique Duplessis were the first to rest there. Hébert is mentioned in the following works of his contemporaries: Champlain, Works (Biggar), passim. JR (Thwaites), passim. Lescarbot, History (Grant), II, 209, 234, 328, 331; III, 246. 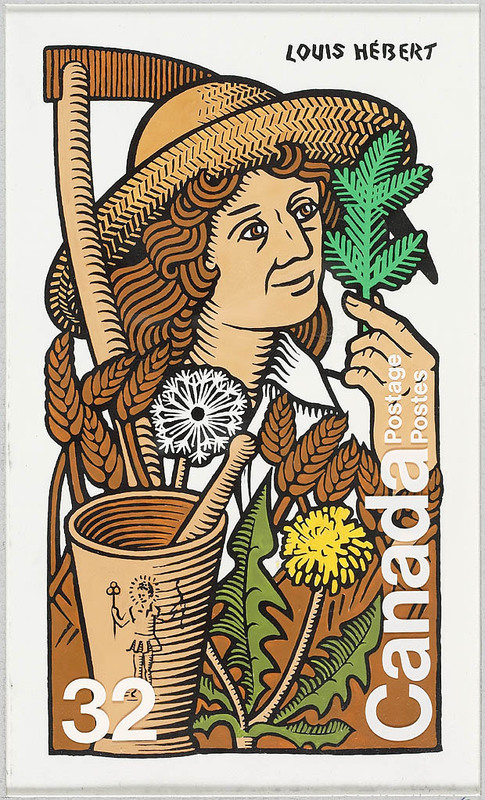 Sagard, Histoire du Canada (Tross), I, 53, 83, 158–59. Le Clercq, while not strictly a contemporary, is near enough to the period to have gathered first-hand information and to have talked with Hébert’s daughter. He gives information about the family in First establishment of the faith (Shea), I, 164–67, 281. Documents concerning company agreements, land grants, etc., are cited in Biggar, Early trading companies and in Azarie Couillard Després, La première famille française au Canada and Louis Hébert: premier colon canadien et sa famille (Lille, Paris, Bruges, 1913; Montréal, 1918). The two latter works give detailed and imaginative, but as far as possible documented, accounts of the family and its members. Madeleine Jurgens, “Recherches sur Louis Hébert et sa famille,” SGCF Mémoires, VIII (1957), 106–12, 135–45; XI (1960), 24–31. This is the general title of a series of three articles: the second (VIII (1957), 135–45) deals mainly with Nicolas Hébert; the third (XI (1960), 24–31) with Louis. Ethel M. G. Bennett, “HÉBERT, LOUIS,” in Dictionary of Canadian Biography, vol. 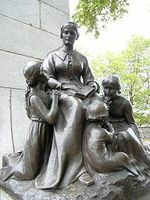 1, University of Toronto/Université Laval, 2003–, accessed April 19, 2019, http://www.biographi.ca/en/bio/hebert_louis_1E.html.